The Thirty-Sixth International Symposium on Economic Crime is the most extensive and ambitious programme that we have so far attempted to put together. The overarching theme is how we can better identify and render accountable unexplained and suspicious wealth. 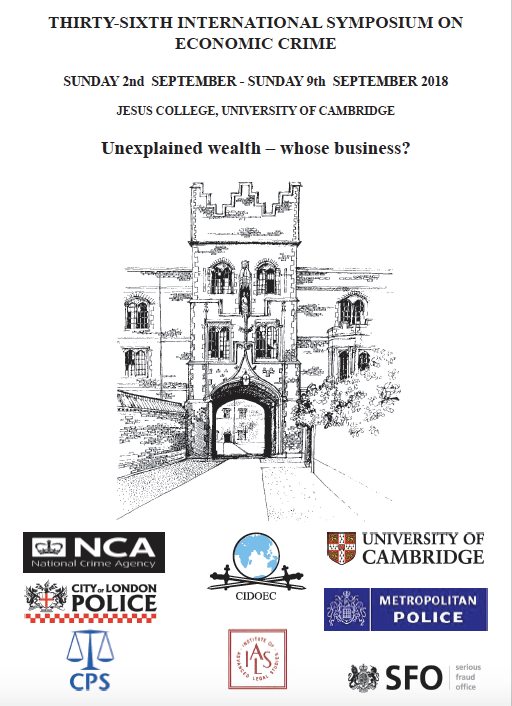 As we increasingly realise that the way in which most of us approach suspect wealth and money laundering lacks efficiency and imposes arguably disproportionate burdens and risks on the financial and business system, it appears a partial answer might be in focusing on the identification of unexplained wealth, but then what do we do?